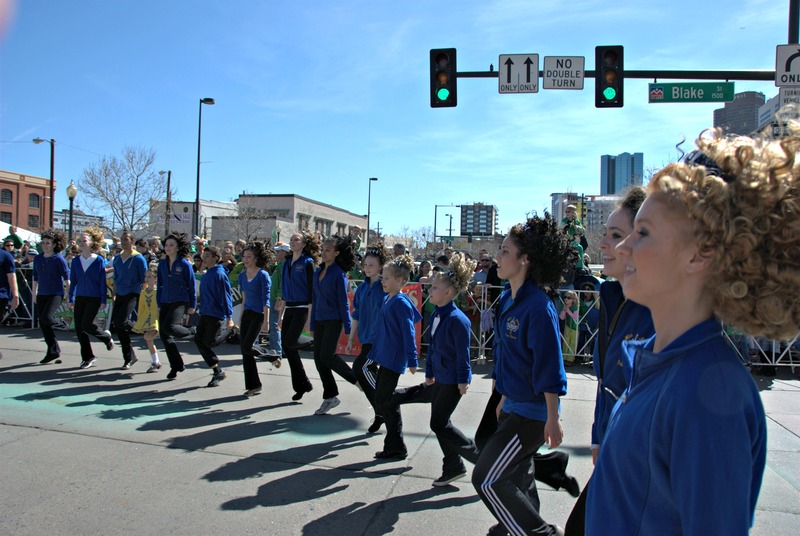 The Denver St Patrick’s Day Parade Committee is a not-for profit organization made up of over 300 volunteers. 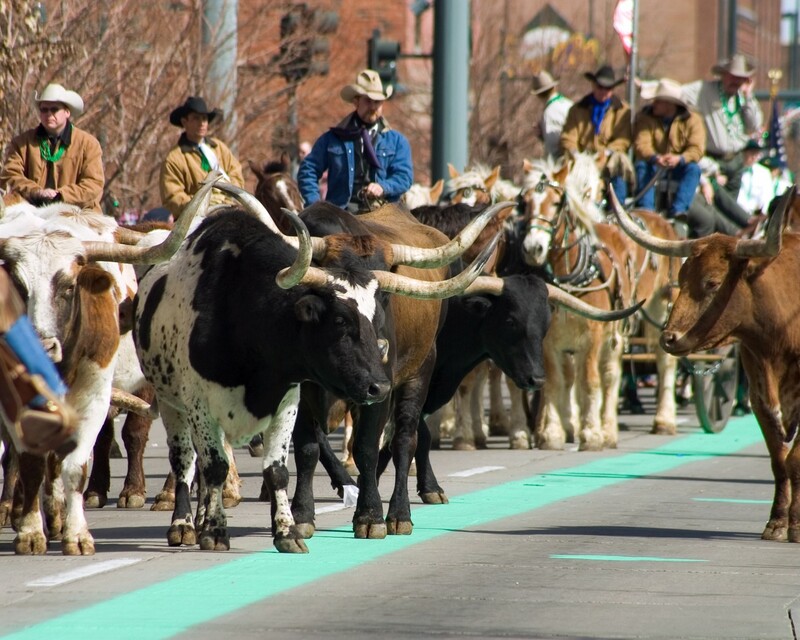 We have been running the Denver St. Patrick’s Day Parade since 1962. 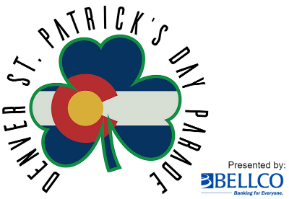 The committee is a charitable organization with each and every one of its committed volunteers having a deep love for the Irish culture and sharing that sense of pride with the entire Denver community with year-round efforts, culminating with the parade day event. Few remember how our official mascot, Paddy, came to be. In January 1986 our committee was incorporated and or first elected president was Charlie O’Brien. A veteran of many different parades with 57 under his belt, Charlie’s first parade with our committee as president was 1986. Charlie’s wife, Jeanie, was an accomplished artist and illustrator for the Gibson Greeting Card Company. She gave the problem some thought and generously presented Charlie with two drawings: One a lovely female leprechaun with long golden hair dressed in green and sitting on a rock. The other was a happy faced leprechaun wearing a black jacket, green pants and tie and a tall black hat of of which sprung a green shamrock. Charlie presented the drawing to the members and the little guy, “Patty” became our official logo, copyright and all. Sometime over the years “Patty” became “Paddy”. For our our 50thanniversary, “Paddy” dressed up in a Gold Coat. 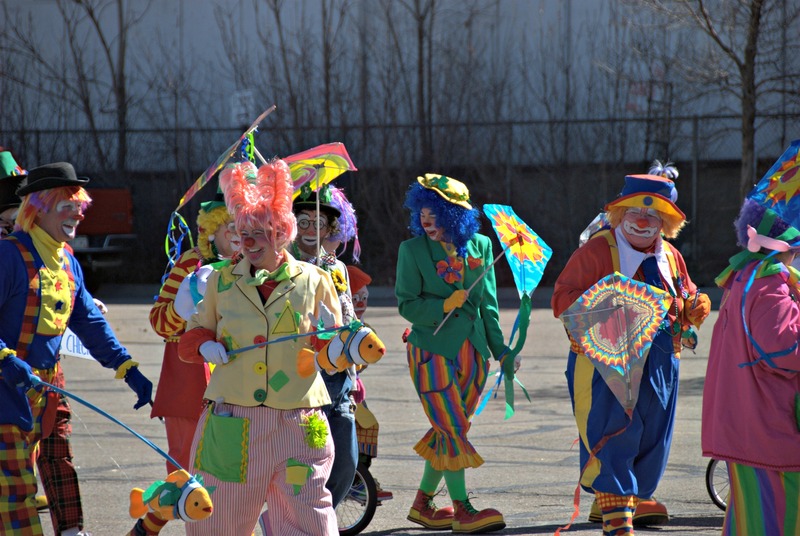 We are all about our Parade! We are all about our Irish heritage, yet we are still a western parade as well!